Americans were quick to emulate them. Initially it was only the very wealthy who could afford the maintenance required for a lawn because it was all done by hand, but with the invention of machinery and chemicals in the twentieth century, a pristine lawn became the norm for virtually everyone with a yard. However, it comes with a high price ecologically, financially, as well as time spent on maintenance and the risks associated with the chemicals used. Deciding not to maintain a lawn is simply not possible for many people because of homeowner association rules, municipal codes, and the wrath of neighbors. So, what can an ecothrifty person do? Avoiding chemicals is usually the easiest way to save money because there are usually no rules or ordinances mandating their use. You will only have to deal with the raised eyebrows of neighbors when the dandelions are blooming in the yard. An old-fashioned reel mower is the most ecothrifty option for maintaining a lawn. We used a reel mower when we lived in the suburbs. It works well on city- and suburban-sized lots, and there is not the deafening drone of a power mower. 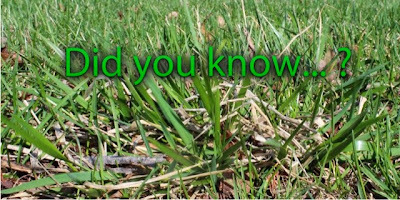 The caveat, however, is that you must mow the lawn regularly because a reel mower cannot handle the grass if it gets too tall. This may mean cutting it more often than once a week during seasons when it is growing especially fast. environmentally friendly option than one powered by gasoline. Although an electric mower initially costs more to purchase, it costs less to operate because the cost of electricity is far less than the cost of gasoline, and this difference will continue to increase as the cost of gas is increasing faster than the cost of electricity. If you have a riding lawn mower, you probably know that it is a gas hog. And it is the worst when it comes to creating air pollution from emissions. When we first moved to the country, we bought a riding mower and mowed about two acres every week. It didn’t take long for us to realize how bad it was for our budget and the environment. Most of our yard is now garden or pasture. Lawns can be converted to attractive and productive garden space. Instead of converting the lawn to an edible landscape by planting fruits and vegetables, another option is to replace grass with plants native to your area, such as succulents and cacti in the desert Southwest or prairie plants in the Midwest to create a hardy and low maintenance garden. Savings: Our electric mower costs only 3 cents to charge, meaning we pay less than a dollar a year to mow our lawn, which is now less than half an acre. By canceling the service of a company that sprays chemicals on your lawn, you can save several hundred dollars a year. If you are able to eliminate your lawn and replace it with native plants, you will be able to save everything you previously spent on fertilizer, herbicides, mowing, and other maintenance. And if you replace it with an edible landscape, you will save even more in food costs. If ever we get a house from the lawn care maintenance . I'll definitely spend as much time with my family like you do. This is so beautiful! Thank you for a great article. The old fashion reel mowers are great for taking care of your lawn before work without waking anyone but would not want to do a large lawn with them. Great article! I love my old fashioned lawn mower! Thanks for sharing this info! For those who are eco-friendly and have to maintain a nice lawn, it can be extremely difficult a times to figure out what are the best options for the environment.